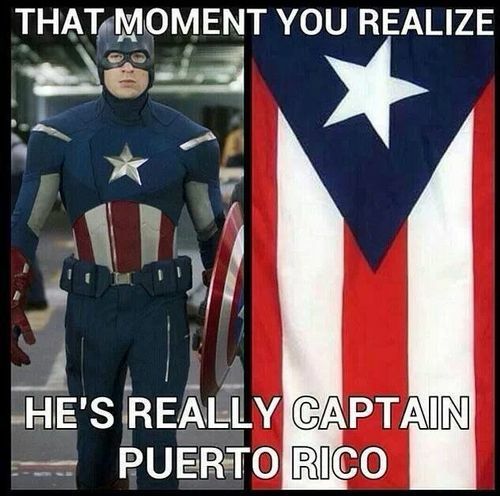 Puerto Rico is part of the United States. That must be why he’s so lazy. He’s likely read the Flag Code and knows it’s both disrespectful and illegal to wear the flag or the flag’s design as clothing. Hence he wears a representation of the flag while still having the proper respect for it as a symbol.